Welcome to the home of the Sign Master Laminator, Sign Easy Laminator, the Ultrabond system and SupaGloss laminating film. Lamination System Pty Ltd are Australian owned manufacturers and wholesalers of quality commercial laminating machines and laminating film to suit all your laminating requirements. Lamination System are also one of Australia's largest stockists of hot roll laminating film, Wide Format Cold laminating films and mounting adhesives, laminating pouches and laminating accessories. 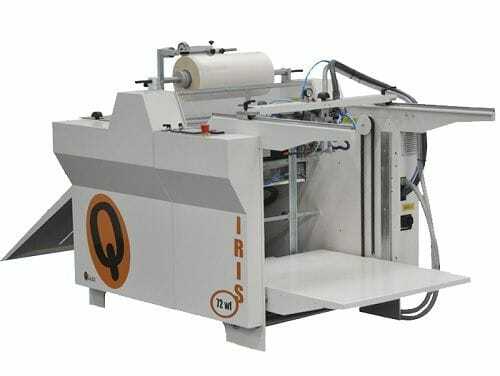 Providing a wide range of laminating products to a diverse and loyal customer base offering the benefits of being Laminating Machine manufacturers and Trade Laminating Service providers, Lamination System are able to offer you over 20 years industry experience in all areas of film lamination. Our customers draw upon the practical knowledge gained through our commercial laminating division, applying this information and techniques to their application. As the variety of materials and products increase we incorporate these technological advances directly into our machinery production area that enviably create superior results in a user friendly machine without compromising quality or reliability. Contact Lamination System today for all your Lamination requirements and experience the benefits for yourself.